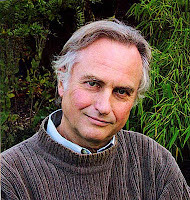 Much pondering on 'the new' atheism this month. Led a morning conference for 200 year 11s on 'environment'. (Blimey!) Struck by how much adverse reaction there was to a section on why faith in God might lead one to care for the planet, a minor part of the morning: we had been instructed to cover RE. The kids totally kicked off and couldn't focus on anything else from then on. "We weren't brought up that way, miss". "We don't need God, miss." One was so rude he got secluded. It was really bizarre. Some good friends of mine then shared the above link on Facebook, a Tim Minchin song edited out of the final cut of the Jonathan Ross show. It mocks Jesus, a bit. It isn't very funny and it isn't half as offensive as most of Tim's Christ-bashing, so who knows why it was cut. Perhaps because it wasn't particularly entertaining? If the editing was done to avoid upsetting Christians, I feel rather patronised. Censorship that panders to religious sensitivities is almost always a mistake. Long chat with one of my brothers at Christmas. He is an actor and planning some stand up comedy that mocks aggressive atheism. He dislikes Tim Minchin (who I often find hilarious, though far more hit-and-miss when focusing on religion) and thinks his audiences visibly change when he starts to criticise Christianity: they cheer and jeer, rather than laugh. As if at a political rally of some sort. Is it true that dismantling religion is a counter-cultural act, as some atheists claim? It may well be, globally, but I don't think so in Britain. Our country has left Christendom behind, in all but a few obsolescent ways. (I wish parliament and the queen would detach themselves from the C of E. Why bishops should have a seat in the house of lords I do not know.) It is far trendier to be atheist than to be Christian. Criticism is fine and I wish more people would quiz me on what I believe. Why are we all so scared of talking to each other? But I don't think anything is achieved by mocking Christians in an uninformed, generalistic way. Those who do it often act as if their words are in some way brave and uttered for the good of the masses. I don't hold with the view that those who share my faith are 'persecuted' in Britain (many would say so - I think that is daft) but I do think that we have entered a period where people enjoy knocking Christianity just because it it acceptable, rather than for any higher purpose. 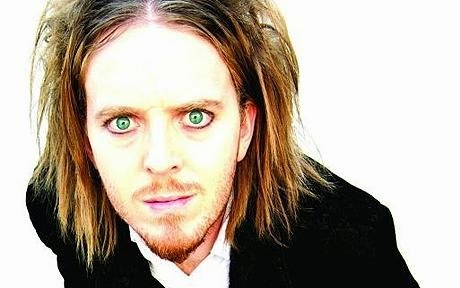 Why can't someone as gifted as Tim Minchin let it go and get back to being funny? Why can't a brilliant scientist like Richard Dawkins get back to educating people about the wonders of the world? Or, if they are doing this out of a sense of justice, maybe they should go and knock Christianity over in Uganda. Or Islam over in Afghanistan. If they really want to carry on as they are, maybe they could read the bible properly or spend a year attending an ordinary church. Just so they know a tiny bit about their subject, you know? It's old now, and more respectful, but I still think mocking Christianity is done much better by Eddie Izzard, who has clearly done his research. One example, here. Who knew a TV sitcom could be so profound? Not sure how they do it. Great intelligence, hard work and creativity, I guess. a depiction of Christianity / churchmanship that is at once authentic, beautiful, laughable and flawed. In other words, accurate. One priest apparently told writer James Woods that the show isn't a comedy but a documentary. I think it's both. Hurrah for Rev Adam Smallbone, his most excellent wife and his dysfunctional / lovely congregation. Am off to see a Spiritual Director this afternoon. Eeeeek! Well, she says she prefers the term "accompanier" to director. Which I can understand. But that makes me feel like a soloist who has to take the lead, rather than an idiot who needs to be helped. And, to be honest, I prefer the lack of responsibility implied by the latter. My minister thought I might find this sort of exercise helpful, what with all my uncertainties about church per se, and my role in ours par example. I'm grateful for this. I've been reading about Spiritual Directors in Susan Howatch novels and they're all rather merciless yet redemptive. The Trinny and Suzannah of the spiritual life. Not that it's good practice to live life as if it were fiction. Is it? There may only be one session, as I think we will decide today if the relationship is going to work. If it carries on, I don't expect I'll feel able to share much of what goes on here on the blog. But if there's any comedy I'll let you know. The opportunities that the 'economic crisis' has afforded for making people in the UK miserable, worried and mean about their material possessions are many and great. But the reality of a person's financial situation is rarely linked to how s/he feels about it. Or so it seems to me. Between us, Jon and I earn about £29,000 net a year. This feels bountiful. We live our lives, save, pay into pension schemes, give about 10% to charity, run a car, eat really well, subscribe to gyms, stay stocked up on wine, go out on a 'date' at least once a week and go on holiday every year. Admittedly, we don't own a house. There are downsides to that. But I have no time for the 'you're throwing your money away on rent' argument. We pay £550 per month for a stress-free roof over our heads and it's well worth it. Has society just conned most of us into debt-addiction in mortgage form? We don't have children, which I had always assumed was a great saving. But a friend and father-of-two told me last weekend that the benefits he gets for his family cover more than what it costs. We would have to rethink our spending habits if our car died; we don't buy much in the way of clothing or household items (another benefit of renting!) But we don't actually want a better car, more clothes, or to worry about how well our house is decorated. Quite often, friends and acquaintances who earn much more than me are really worried about their financial status, angry about rising fuel prices, guilty that they don't afford to give much money away, bitter at the authorities for getting them into an economic mess. Some people are in difficult situations. But often the difficulty stems from a lifestyle choice (maxing out on the highest mortgage affordable; having an extra car; paying for schooling) not necessity. It saddens me when people's decisions to live expensively leads them to resent others who have next to nothing: asylum seekers, travellers, those overseas getting a bit of aid from our government. Who is it that lies to us about what we need and what we have? The media? Or does someone feed them that message? I am not naturally generous. In fact, the opposite is true. But I have watched how regularly giving money away, resisting the temptation to buy things that I don't need / that don't make me happier, avoiding certain media and refusing to join the lament of woe about what I can't afford have trained me to be much less anxious and burdened by "stuff". I have tried to choose the path of being content, as far as I have been able to see where that lies. Of course, it's all a process. I would struggle if my income level suddenly dropped, even though I know I don't need that wine or that gym membership. But if I keep practicing an attitude of gratitude and allow myself to listen to life's invitations to be generous, I suspect I shall never really feel badly off. I guess all this sounds rather self-satisfied. It isn't meant to. In fact, I feel really sad that so many of the people I know (and there are more of them the older I get) choose to believe they are hard done by. It is that choice, and not the reality of their bank balance, which leads to genuine difficulty. Off to Brazil for the first time on Sunday. Spending the first ten days visiting Christian Aid partners, so I can bring back stories for my regional work here in the UK. We'll be seeing those working in favelas with the homeless on city recycling projects, rural communities fighting for land rights and secure, sustainable power sources that don't involve flooding their homes for massive dams, tax justice campaigners, interfaith leaders working to educate people about HIV / Aids and more. Have had one or two stress dreams but mainly excited. 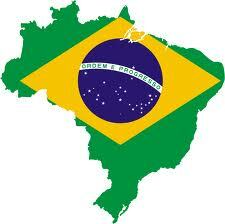 Then four days holiday, at Foz de Iguazu and Rio. The Rock in Rio just happens to be on while we are there ; ) And we are staying in a favelinha, a hostel in a favela. Woo hoo! And I have even done eight hours of Portuguese so I can say 'I would like a beer please' , 'I don't know and I don't understand' , 'where is the bathroom?' So I'll be away! A decade or so back, I struggled (first subconsciously and later in full awareness) with a university Christian Union and a "the bible should be taken literally except that's not possible so we pretend to while actually imposing on it our own agenda" type church for a while. Both places heralded Paul as their scriptural champion. One advocate actually warned me against missing out on Paul due to taking Jesus' example too seriously (!) So I got a bit prejudiced. Paul was obviously IMPORTANT but he was also PROBLEMATIC as a hyper-masculine, emotion-o-phobe, pin down the theory and batten down the hatches to mystery, inscrutable, (wannabe) academic, anti-women, pro-hell type of guy. On re-reading today, with a more open mind, I find I am surprised and pleased with the tone of Paul's letters. His letters are actually very emotional, gushing, here-there-and-everywhere. Yes, they suggest great learning and intellect but in a rather chaotic, dashing this all down, too much to say too little time, can't be bothered to proofread type way. They are obsessed with the individual circumstances of the readers, their spiritual struggles and their personal lives. There is much femininity here. Often the intense theological grappling is disrupted by an outburst of "Oh, I don't know, but isn't God great anyway!" I think I would have liked Paul, in fact. A revelation! Is it me or has dog-owning etiquette changed since I were a wee nipper? Through work, I am fairly often required to visit people in their homes. Many of them own dogs or cats. It is more or less a given that a dog will bark manically on my arrival. Fairly often, a dog will also jump all over me. On more than one occasion, a cat has climbed all over me and put holes in my clothes. On one occasion, a dog persistently jumped on me for about half an hour and eventually knocked my hot tea down my lap. The final act did result in an apology. But in general, I feel like I'm undergoing some sort of test. I feel as if the houseowner is saying: "Can you cope with this animal being menacing and invading your personal space? No? well, you're not really worth my time." Now, you could say such unacceptable pet behaviour is a result of territory being invaded by a stranger. But the pattern is repeated in public spaces. How often will a dog owner shout across a field, as the beast races at you teeth bared, 'It's alright he's friendly!' Or, 'You don't mind dogs, do you?' Or else simply look at you with eyebrows raised as if to say: "Can you take it? Huh? Can ya?" Actually, it's not alright. And if I do mind a dog charging me it's not because I am some sort of narrow-minded, killjoy bigot. And if I do apply a swift kick to the mutt who jumps on me, I would say I am perfectly within my rights. I am a little bit worried about myself. Perhaps I skipped over some important development stages in adolescence. The thing is that I get really very, very excited whenever I watch Glee. Clearly, this is to be expected when the episode is about Britney Spears. She was actually in it, for heave'ns sake. But I have run control tests and, having chuckled and danced and squeaked my way through the Gwyneth episode and the Rocky Horror one, must deduce that this is a behavioural pattern. Yes, I know most of the educated world hates the programme. Don't judge me, I have a problem. Well, this fastful season I have given up church. I am so, like, out there and cutting edge. Not really. In fact, this is about being a total loser: the main reason for the abstinence is that I have noticed I am slightly obsessed with church. Both in the particular Chepstow Methodist sense and in the general Body of Christ sense. In The Naked Now, Catholic mystic Richard Rohr says that when one "cannot detach from [something] when it is needed and appropriate, [one is] overidentified, overly attached, or even enmeshed... This could be called [....] blindness." Those are precisely the things one should get free of during Lent. And I was in danger of being enmeshed in churchyness. As a minister's child, some of my earliest and most formative memories are of being the centre of attention in an ever-present church community. I grew up obeying the parental commandment Thou Shalt Never Just Lie in on a Sunday. Some good came of that. But also some Iss-ewes. I hope that the church, with me in it, has something wonderful and radical to offer. But that train of thought has, over the years, become a personal manifesto that makes me look at church (and those in it, including myself) with unrealistic expectation and later with irritability, stress and judgement. Church will always be frustrating. It is a community of people who may have next to nothing in common and yet to varying degrees are trying to love one another. It is full of mistakes. And oddities. And, as a member of the community, you're continually being shown all the irritating things about yourself and all the irritating things about everybody else. That scenario has the potential for great good, for encouraging humility, for healing and for seeing God. But, if looked at wrong, it also has the potential to be very burdensome. Especially if the extent to which you value yourself and your companions depends on how well you / they are "fixing" the frustrations, flaws and irritations. So. I'm stepping back for a few weeks to get rid of the funny attitude I have managed to grow. And to enjoy Sunday lie-ins. I've now spent decent chunks of time working in the private and charitable sectors. "We all get too many emails. I tend to leave mine for a couple of weeks. Then, when I look through them, most of the things have become irrelevant. So obviously they weren't that crucial." In the private sector, a statement like that merits death by hanging. You also tend to find that people speak more effusively about their passion for their work and regard their own opinions about their employer's strategies and policies of as being of more import when they work for the charitable sector. But this doesn't, unfortunately, lead to them working harder. I have on occasion more or less lobotomised myself (or been lobotomised by my bosses) in trying to respond to every single incoming client request within 24 hours. Only to find that the client has forgotten what they asked for and is surprised to get any response at all. Or still hates you anyway, even when you fulfil every demand on time and in full. The private sector can afford to be a bit less uptight about the to do lists, at times. But I rarely find the laid back attitude of the charitable sector is good for the employer. Frighteningly rarely do enthusiasm and a professed desire to influence the way things are run translate into efficient, productive, imaginative work. I'm sorry to admit it but it seems that, in general, how hard we work all boils down to money. Will you lose your job if you fail to get that done? Yes? Well....you damn well get it done. No? Well......life is about more than work, after all. Will you get another contract or a bonus if you do that little bit more? Yes? Well....suddenly that extra hour in the office seems alright after all. No? Well......there's no need to get everything perfect, is there? Oh, that the pure, unadulterated love of the cause won the same tangible results as hard-earned cash! But it doesn't, really, does it?